If you’re looking to put a refreshing twist on your next girls’ get-together, then break out the blender and try the Callie Summer Slushie! 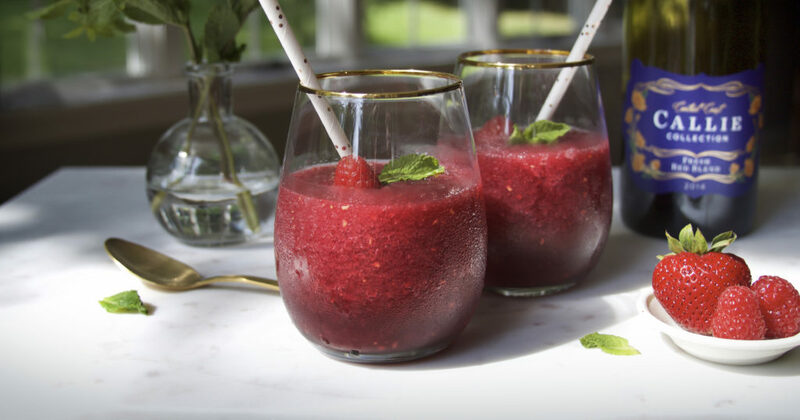 Perfect for a hot summer day, this super easy slushie recipe uses fresh fruit and the Callie Collection Fresh Red Blend for a drink you and your friends are sure to love! Place wine, strawberries, and raspberries in a blender and blend until smooth. Pour wine mixture into three ice cube trays and freeze until solid, at least 5 hours. When ready to serve, place wine cubes and lemon lime soda into a blender and blend until it reaches a slush-like consistency. Pour into a cute glass and enjoy with your closest friends!